The deputy Malaysian Transport Minister Aziz Kaprawi has confirmed that Malaysian authorities have received an offer from a private company to resume the search for missing Malaysia Airlines flight MH370 but have yet to make a decision to accept it. Families of passengers and crew have been increasing the pressure on authorities in Malaysia and Australia to resume searching in an area north of the original 120,000 square kilometre search zone in the southern Indian Ocean. This follows the recent disclosure that marine and drift analysis experts at CSIRO working with the official search bodies had significantly refined their drift models based on debris found over the past two years on the East an South African coastlines, including islands like Mauritius, Madagascar and Reunion. 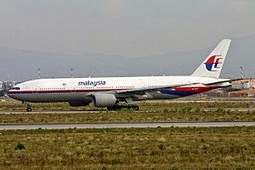 Voice370, the official representative body of MH370 families, yesterday released a statement saying they had been prepared to privately fund their own independent search but they were aware recently that a US-based sea exploration company, Ocean Infinity, had already offered (for free) to search for the seabed wreckage of the missing aircraft which disappeared on the morning of March 8th, 2014 with 239 passengers and crew on board. Voice370 understands that the only terms asked by Ocean Infinity is that the company is recompensed with a reward in the event it does locate the seabed wreckage of the aircraft. It is not known exactly how long this offer has been on the table of Malaysian authorities, but Deputy Malaysian Transport Minister Aziz Kaprawi would only confirm in a text message to Reuters that authorities had received the offer, but said no decision had been made on whether it would be accepted or not. Ocean Infinity have declined to make any public statement on their offer. Voice370 has been working with famed shipwreck hunter David Mearns and a number of marine and aviation experts, including data and advice from the Independent Group (IG), to launch their own funded search for the seabed wreckage of the aircraft. The official search for the aircraft was suspended in January this year following completion of a search zone of 120,000 square kilometres in the southern Indian Ocean conducted by Fugro Worldwide for the ATSB (Australian Transport & Safety Board) off the Western coast of Australia. Joint governments in Malaysia, Australia and China have steadfastly stated that the search cannot resume until 'credible new evidence leading to a precise search location' is presented to the official investigative teams. This somewhat flies in the face of reason considering Malaysian government officials have rejected commissioned analysis from CSIRO (Commonwealth Scientific and Industrial Research Organisation), consistently fine-tuned and undertaken by the ATSB in Australia. The ATSB has also consistently stated that it wishes to continue the search but remains bootstrapped to the Australian government, tasked with conducting the official seabed search, and in turn the Australian government is equally bootstrapped to Malaysian authorities who remain the lead investigative nation under international aviation rules. This remains, and has been for the past three and a half years, one long, bureaucratic mess. It copper fastens why tragic and major aviation investigations, when there is a significant loss of life and no answers, needs to be taken out and away from the hands of government, restructured, and conducted under the auspices of the International Civil Aviation Organization (ICAO) and the International Air Transport Association (IATA). We can set down all the ground rules, conventions, treaties and agreements, but it requires commitment and adherence to those codes of conduct and skilled execution of expert practice. There is no place for government in any tragedy or disaster, particularly when it comes to aviation. By all means do the centre stage public media platitudes and resolve to fix it. But a government's role is not to become a part of the tragedy itself, only to act and support investigative recommendations. That is never going to happen when government(s) have to fund a major aviation investigation, and pick their partners and alliances.